Start with the poll itself. 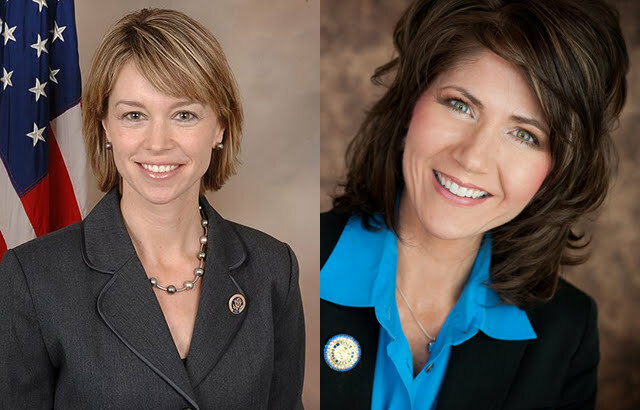 Republican Kristi Noem now leads 51-42 in this poll (MoE 4.5). Having a challenger over 50 makes things so difficult for an incumbent. Sandlin hasn’t hit 50 this year. But also take into account the greater situation, and it gets worse. Noem is running alone for Congress this year, as Republican incumbent Senator John Thune is unopposed. Sandlin has to find a way to get Democrats to the polls when the Senate race is already lost. The race for Governor is virtually lost for the Democrats as well, when, Rasmussen has Scott Heidepreim down 17 to Republican Dennis Daugaard in the race to replace Mike Rounds. So I don’t see how Sandlin is going to mount a comeback in a state where Republicans are all but certain to sweep the other important races.